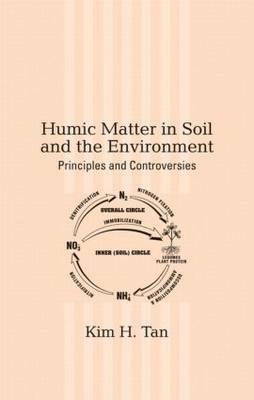 The only book to completely define and explore the genesis, extraction, properties, and impact of humic matter on agriculture, industry, and the environment, Humic Matter in Soil and the Environment delves into the issues and controversies associated with produced and natural humic compounds. It assesses the role of humic substances in medicines, fertilizers, and industrial and pharmaceutical operations, providing characteristic visible light, infrared, ESR, NMR spectra, and electron micrographs for every humic compound. Unparalleled in scope and depth, this reference examines controversies regarding humic matter as a real or false compound and identifies trends and prospects for the future.